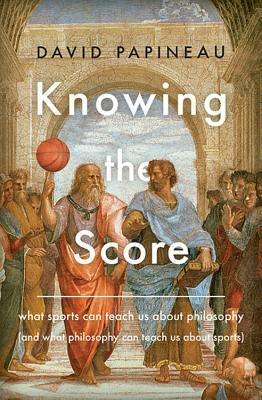 In Knowing the Score, philosopher David Papineau uses sports to illuminate some of modern philosophy's most perplexing questions. As Papineau demonstrates, the study of sports clarifies, challenges, and sometimes confuses crucial issues in philosophy. The tactics of road bicycle racing shed new light on questions of altruism, while sporting family dynasties reorient the nature v. nurture debate. Why do sports competitors choke? Why do fans think God will favor their team over their rivals? How can it be moral to deceive the umpire by framing a pitch? From all of these questions, and many more, philosophy has a great deal to learn. An entertaining and erudite book that ranges far and wide through the sporting world, Knowing the Score is perfect reading for armchair philosophers and Monday morning quarterbacks alike. "Mr. Papineau's engaging book takes a look at a philosophical problem presented by a sport and links it to phenomena in the wider world."